The Bayside Furnishings Storage Cocktail table is more than just a table that you place in front of your couch. The sliding top reveals some convenient storage as well. The top slides open on ball-bearing glides to access a spacious storage compartment…perfect for books, magazines, a throw blanket or whatever you want to keep hidden away. I try to reduce clutter as much as I can and having furniture that doubles up as storage is a real plus in my home. Of course, at my house, I would be putting my kids’ toys inside. But with the amount of toys, I would probably need 2 of the Bayside Furnishings Storage Coffee table. Better yet, give away some of the toys that my kids’ no longer play with. 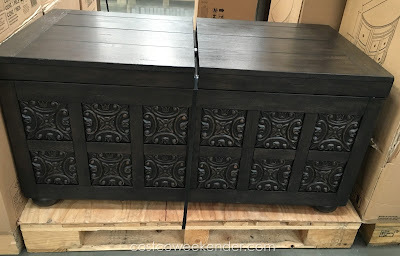 The Costco is Spanish fork, UT was selling this for $125. 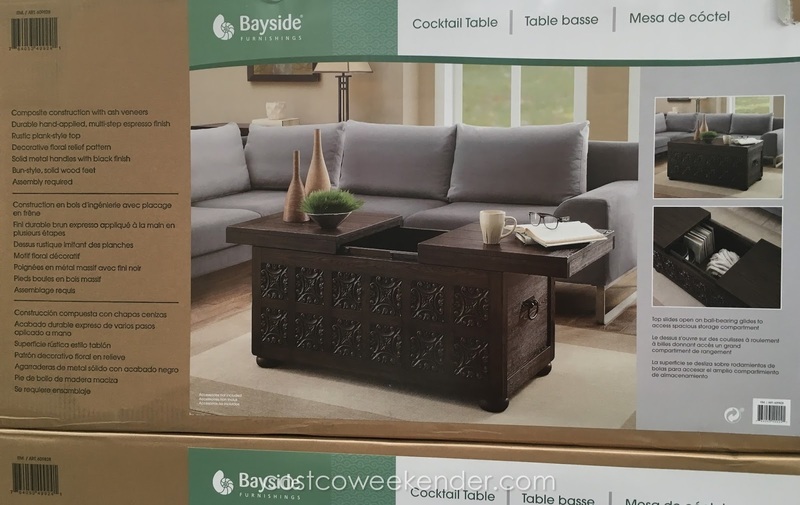 Hello @Yep, thanks for letting us know that the Costco in Spanish Fork, UT has the Bayside Furnishings Storage Cocktail Table for $125. 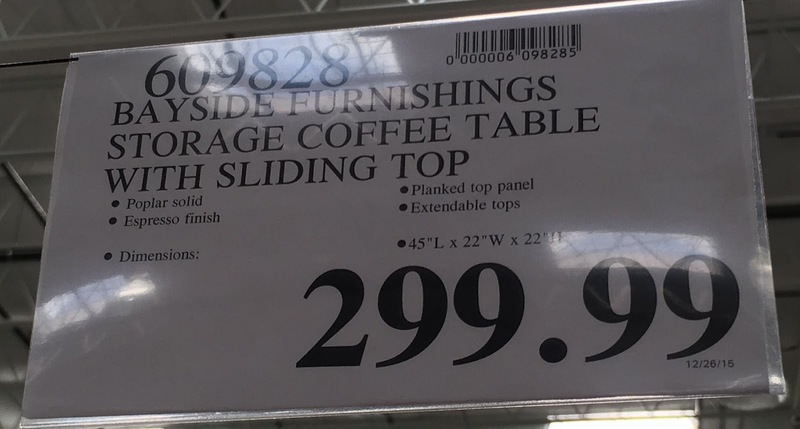 I guess Costco is marking this particular item down making this an even better deal.